The beauty Aras was born in Istanbul on 25 of August, 1990. The ancient capital gave the Turkish cinema many unique and talented actors and actresses. Aras can be referred to the abovementioned amount too. The boy finished the school successfully and than entered the technical university situated in Istanbul too. The young man didn’t plan to relate his life with cinema due to his future profession. He chose engineer faculty and got the diploma of aerotechnics specialist after graduating the university. Though the cinema touched the boy’s life for his family was very creative and respected both modern and classic arts. Aras’ sister is a famous professional singer, and his brother is a creation person too, he is a writer and the scenarios maker for many popular series. Featuring commercials for different Turkish brands was the first actor’s work on camera. The young actor became famous due to his role in “As Time Goes by,” series. The work in this picture helped Aras to take a decision concerning his way of living. 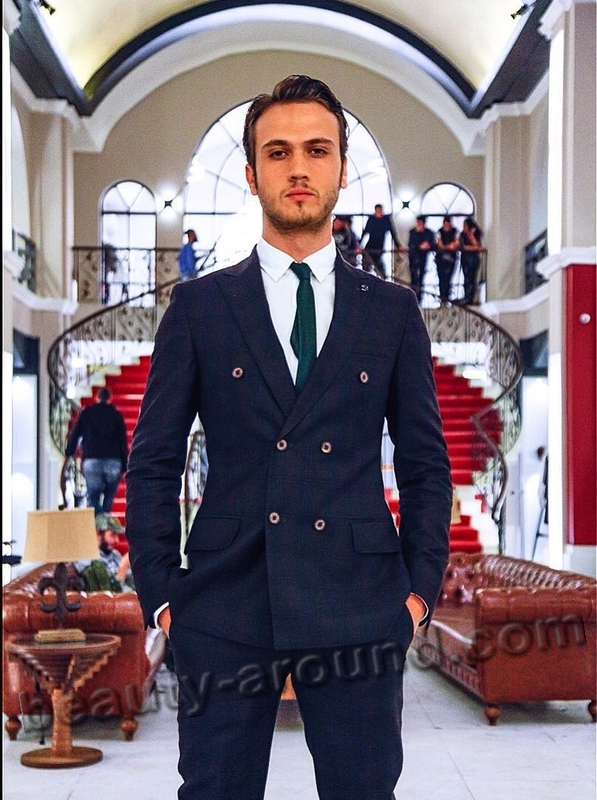 Aras İynemli’s career began developing very quickly and producers started consider the actor as more and more perspective one. Shootings in “As Time Goes by” brought Aras the love of the viewers and critical acclaim. He managed the producers’ task and played his hero’s character in a perfect way. After the series stopped showing on TV, Aras was awarded as the Best Supporting Actor in a Drama Series. This award from Antalya Televizyon Odulleri inspired the young man and turn the different genres producers’ attention to him. The role in “Mahmut And Meryem,” series, was very important in the beginning actor’s career. The young man had to play the graceful, tender character of an Azerbaijanian boy from rich family in this TV-novel. According to the plot, the Aras’ hero has a strong filing to a Christian’s daughter, a monk. In ancient times, it was very difficult to save the love affair between people of different religion confessions. It was often tragic. That is why the story of this love is an interesting theme for a series. The tragic love affair developed during historic events of 16th century. That’s why the series is interesting both for Turkish and Azerbaijanian. The picture and the main hero’s executive was beloved by viewers very much. An actress from Kazakhstan was his partner in this beautiful picture. Aras was invited to play roles in different genres pictures and he managed perfectly with romantic heroes’ and baddies’ roles. The best time in the life of beginning TV-star was the role in famous historic TV-novel “The Magnificent Century.” The young man played the role of Sultan’s son Şehzade Bayezid. The most difficult moment in this role was that the actor had to play the hero, who was a child in the previous seasons. Aras showed the young man throwing back to his famous parents. 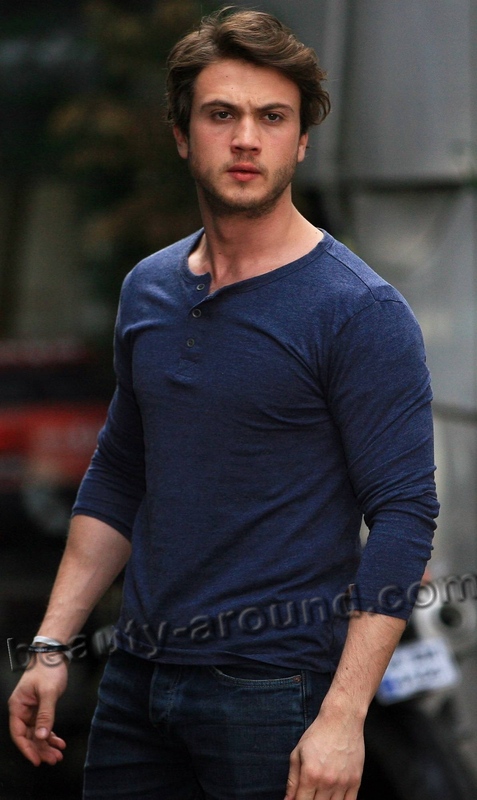 After the season with Aras casting was launched, the actor became popular far abroad the Turkey. The actor obtained his own fans, who traced carefully the career and private life of the celebrity. The role helped Aras to develop his career for it brought the young man much attention from the producers and actor cast agents. The perspective and very beautiful Turkish actor has many female fans, but his heart is still free. At this time, the closest people for the actor are his parents, brother and sister. The young man is not married still. Though he believes that he will find as strong filing as his romantic heroes have in series. Not all actor’s fans, who liked him in role of Şehzade Bayezid, know that the shooting team invited the young and perspective actor to play the role of Sultan Selim at first. 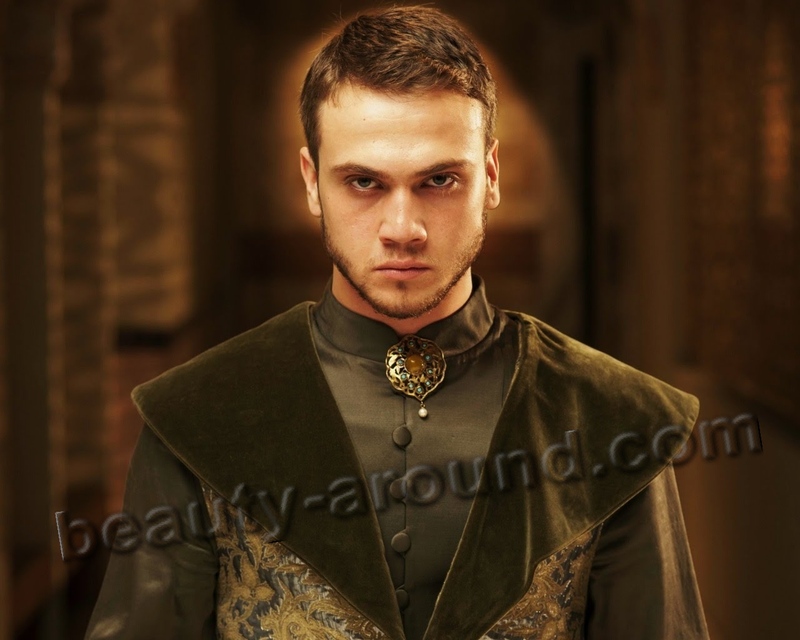 But than another decision was taken, and Aras started playing the role of Sultan’s son. He managed it perfectly, what was noted by both viewers and cinema critics. The actor had to gain weight, to learn riding a horse and sword playing to act the part. The actor had also read many historical books before entering shooting stage. The young man takes inspiration in music. He listens to it before starting to play this or that hero. “The Batman” is the favourite actor’s film. He watched it several times and the picture isn’t boring for him still. What a performance on Içerde! !